Meetings – associations host member meetings on a recurring basis. These meetings may include opportunities to raise your visibility with colleagues, discussions regarding the industry, and presentations by industry experts. Workshops and Webinars – they host workshops and webinars for members, usually with an external speaker or facilitator, to help members build their skills and learn new information. Panels – associations host panel presentations comprised of industry leaders (maybe you!) to share information and create dialogue. Conferences – and they often host one- to three-day conferences designed to bring together thought leaders and vendors to showcase the very best the industry has to offer. The downside is that these conferences are usually located at beautiful destinations, held in gorgeous conference centers, and surrounded by luxurious accommodations. Not a bad downside, right? It’s possible that you’ll attend an industry event during the workday or that your organization paid for your association dues or registration fees. If relevant information is being shared there, it’s expected that you will introduce best practices back at your workplace that will help your organization achieve its goals. If you don’t share what you are experiencing at an industry event with your boss or introduce best practices to your organization, your boss may begin to question the value of your participation. Many of your colleagues have heard about how to implement a Six Sigma process improvement, how to integrate changes to Generally Accepted Accounting Principles, and how to transition to a WordPress website at an industry meeting. 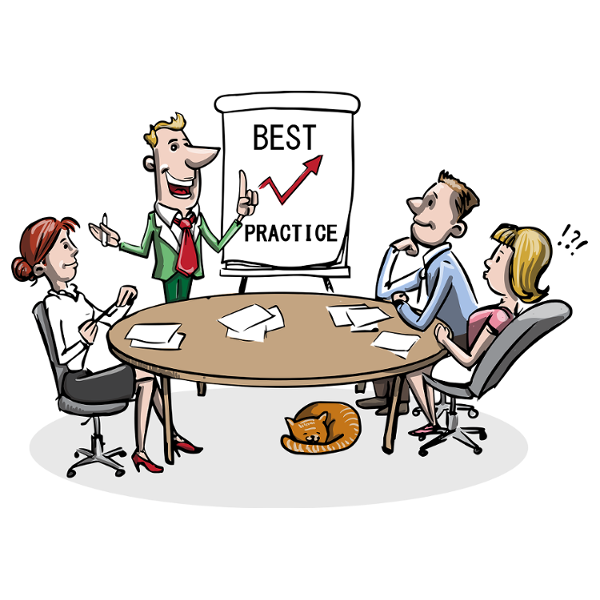 Hearing about these best practices is interesting – introducing them back to your organization is priceless.